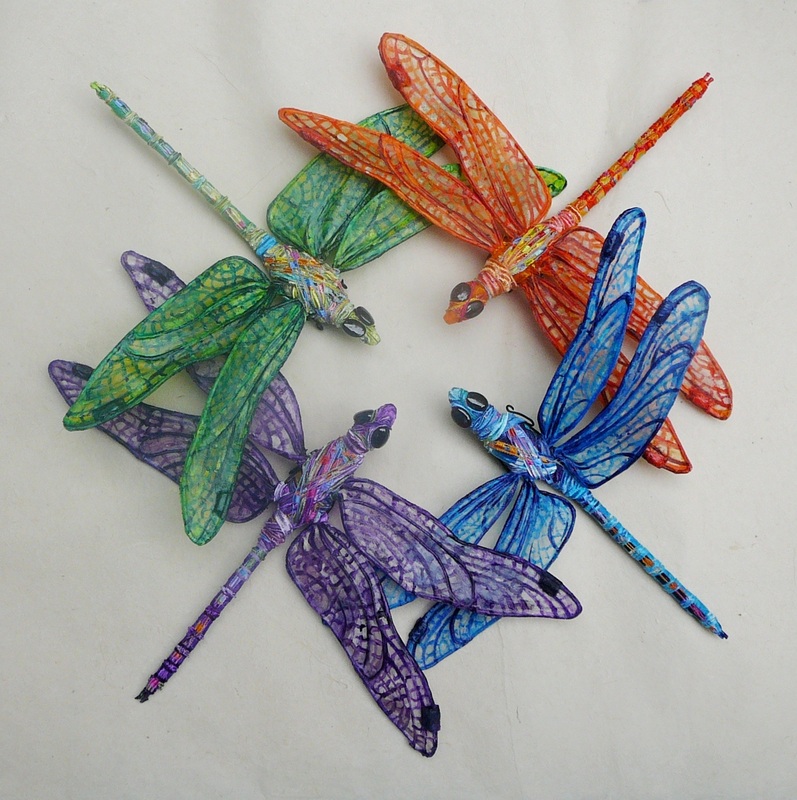 Here are four of a new batch of dragonflies that I’m working on. I like how this image turned out. 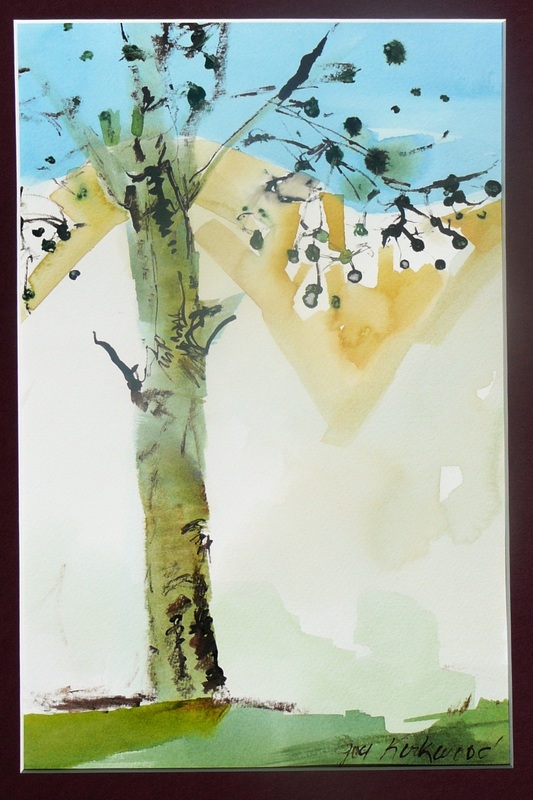 Similar to the Crowsnest piece I used a geometric style in this watercolour that was created on location in my neighbourhood. My self imposed challenge was to see how much information I could get across in a picture with the least amount of mark-making. If you can tell it’s spring (small leaves, green grass), that the sun was shining (blue sky), and that I live in a area surrounded by mountains (yellow ochre zigzag in the back) then I’ve been successful. To create details and texture I used a dark brown ink on top of the loosely painted in big shapes of land, sky, tree, and mountains. I also used a sharpened stick from my backyard to draw with. Using a stick gives such immediacy and life to a picture that it’s become my main tool when using ink in a picture. It will also be one of the techniques I’ll be teaching in my upcoming Balance of Art class to be held at Coast Collective in September. 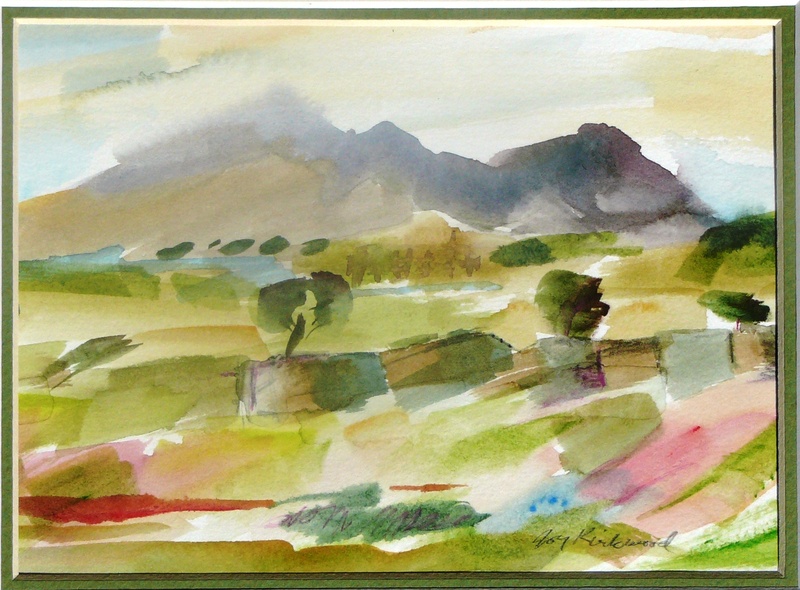 This small watercolour was created a few years back on a summer visit to the Crowsnest area of Alberta. It was so hot that day that the air shimmered. What is not in the pictures, but is part of the back story for me, are the coyotes that made their way across the ridge from time to time or the cows that were in the far pasture. 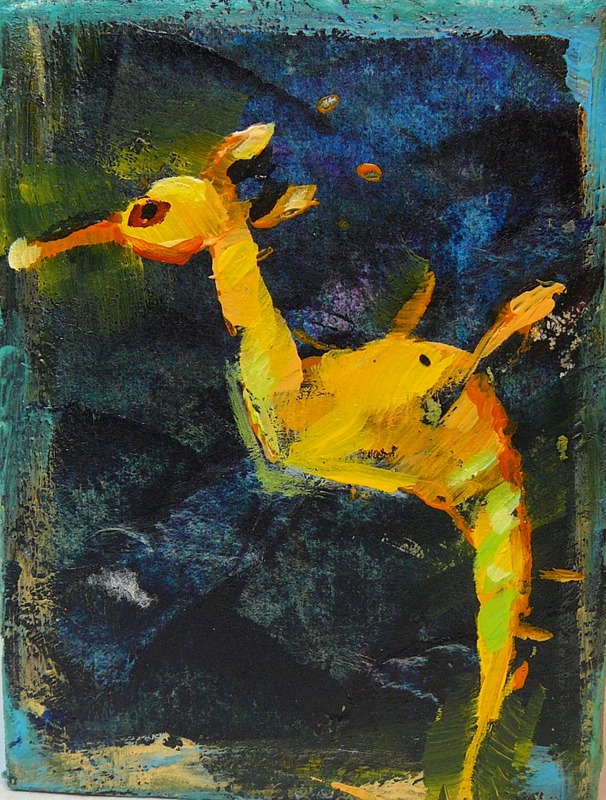 This work is a personal favourite of mine partially because it’s style reminds me of Paul Klee’s watercolours. It is one of of the images I’m looking to for inspiration as I prepare for my upcoming Balance of Art class in September at Coast Collective near Victoria BC.